Led Zeppelin’s live soundtrack to their 1976 concert film, The Song Remains The Same, is getting a reissue later this year. The famous film and soundtrack was recorded in 1973 during their three night stint at Madison Square Garden. 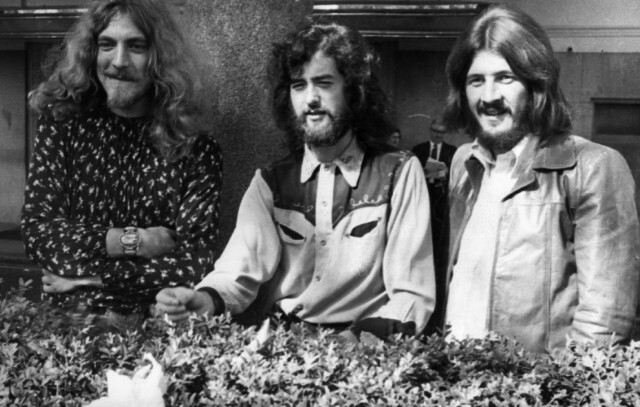 The new remastering of the soundtrack will coincide with the band’s 50th anniversary, being released on September 7th, the day Led Zeppelin played their first-ever gig. The album received its first reissue back in 2007, but gets a larger and more expansive edition this time around. Rolling Stone reports that Jimmy Page “personally supervised” the new remastering of the album. This rendition will be available in CD, vinyl, digital, and Blu-ray formats. The vinyl is set to include several songs not on the original release as well as having the entire half-hour performance of “Dazed and Confused” on one side for the first time. The Song Remains The Same will also come in a deluxe box set, containing a remastered version of the film with new performances not in the original, marking the first time the film and the soundtrack have been available together. The deluxe box will also include a lengthy coffee table book, a 1977 Japanese film program of the movie, a print of the album’s original cover, and more. Earlier this year, Led Zeppelin released a limited edition 7” single of two previously unheard mixes produced by Page for Record Store Day and also reissued their 2003 live album How The West Was Won for a vinyl release. In further commemoration of the 50th anniversary, they are also releasing a book of photos later this year in October.